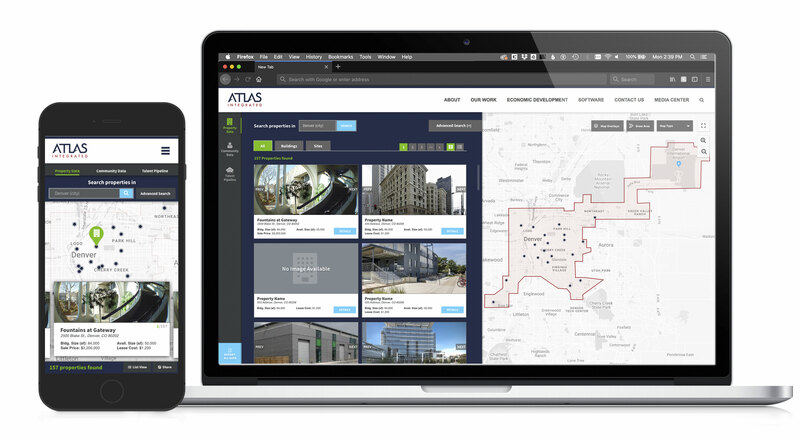 Atlas IQ is our industry-first, comprehensive workforce, demographic, and property data aggregator and search platform that transforms the way people understand and interact with communities. Business IQ is an integral component of Atlas IQ. Business IQ is a tool that uses Esri data to display comprehensive property and community data for site selectors, commercial real estate brokers, and prospective companies looking to make intelligent location decisions. Business IQ is comprised of data visualization sets and aesthetically strong infographics that help tell a community’s story and allows users access to up to 46 different Esri reports of a client’s choosing. Workforce IQ is a data visualization platform that tells a community’s workforce story. It’s a critical tool for companies looking to fill vacancies with educated career-seekers, and it’s beneficial for potential talent looking for major employers, available jobs, and institutions to further their education. Through Workforce IQ, users can ascertain detailed attributes about a community’s overall talent environment and pipeline. Part of Workforce IQ is Talent Pipeline, a tool that presents information about a community’s potential workforce pipeline through higher education data. Data summaries can include names of institutions and number of graduates (both historical and anticipated figures), fields of study or majors applicable to your community’s target industries, and total degrees conferred or specialized certifications awarded. Through this tool, you can connect existing and prospective companies with their future talent, or focus on workforce development initiatives that help people further develop and refine their skills.